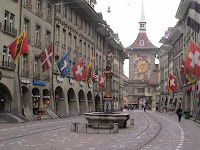 Switzerland located in Europe shares borders with France, German, Italia, Holland ………Switzerland has specific cultural characteristics. With a stable and developed economy, people’s income is one of the highest of the world. Popular programs of overseas study in Viet Nam. Although the fees are appreciated to be expensive. Courses of Tourism – Hotel services are known and chosen by many international students because they have 6 month paid traineeship with income average: from 2050 Fang – 2500 Fang a month.